The Count Down has begun!! It is our final week of training and only days until the race. Each day this week I will send out a message to help you in your final preparation for the race. PLEASE take the time to read through all of them so you don’t miss out on any of the important details. Normally, I would recommend that you take the day off before a race — which you are welcome to do. However, it is a Boot Camp day and I know some of you will go no matter what. I thought it would be good to have a separate session that will be tailored to pre-race readiness. Meet at the basketball court with your mats. No weights are needed. This will be offered for the 7am session only. For those of you that are going on Saturday to pick up your packet and participate in the race clinic, we will meet at Andy Brown Park at 12pm. Depending on traffic, driving time is about 35 to 45 minutes. This should give us plenty of time to pick up our packet and participate in the clinic which starts at 1pm. Packet pick up continues until 4pm so we will have additional time after the clinic if needed. The following is a list of the names that want to car pool to the clinic. If I missed your name or you still want to join us, please message me and let me know so we don’t leave without someone. If you are picking up your packet on your own, please see the previous blog for details. How are you getting your bike to the race? IF YOU DO NOT HAVE A BIKE RACK OR MEANS TO CARRY YOUR BIKE TO THE RACE, PLEASE LET ME KNOW ASAP! If you have a bike rack and have room for one or more bikes, please let me know as well. One way or another, we will make sure everyone gets their bike to the race. Meet up at Andy Brown East to caravan to the race: To ensure everyone gets to the race on time and provide a little extra support and motivation for one another, we will caravan out to the race. 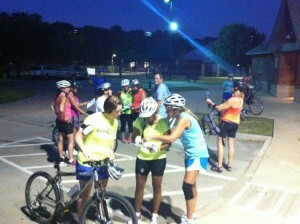 Since the transition area opens at 6am, meet at Andy Brown East at 4:45am!!! We will leave the park promptly at 5am which will give us plenty of time to get to the race, unload our gear and bikes and hopefully be some of the first people in the transition area. Please note my cell phone number or program it into your phone now. If you have ANY last minute emergencies, text or call me at 972-998-7131. Pre-race group picture: Meet at 6:30am in front of “T1” the swim to bike transition area to take a group picture. GYIS Race Towels: Brad and Cynthia will provide each of us with a “Get You In Shape” race towel (Thank you very much!). You can proudly display it in the transition area. We will pass them out the morning of the race. Post Race Celebration!!! After all the training and completion of the Sprint Tri, we will all deserve a celebration. All race participants and their families are welcome as well as fellow Boot Campers that want to join us. More details will soon follow in an eVite but plan for a late afternoon start time. About 24 people gave up their chance to sleep in on Saturday morning to join us for a 12 mile bike and 3 mile run and everyone did it! I am proud of each and everyone of you. Although we had a few sprinkles, the weather was pretty good. What a difference a few days makes, huh? Real August Texas weather is finally here or at least the humidity is here. It is all good because the weather could be just like this (or even worse) on race day so it is good to train in the heat and ready ourselves for all kinds of conditions. If you feel like cooling things off, join us for a swim tomorrow or Thursday. We will meet at the CARC pool following Cardio Club for anyone that wants to have one more timed swim. If you haven’t done this yet, I highly encourage you to get one in even if you have to do it on your own. If anyone would like to arrange an evening time or any other time, just let me know and I will be happy to work something out. Attend the free clinic on September 8th that includes a “complete transition clinic” and pick up your race day packet at the same time. Self learn through YouTube videos. I have selected a few that you will find useful. Watch them both and then decide if you need more information. Note: I like this one better because it has more details, however, you have to view it realizing that it was made for serious competitors that want to minimize time in transition. But, I love her tips and she is thorough. Attend an overview that I will conduct on Saturday, September 1st at 10am at Andy Brown East near the Pavilion. YOU MUST LET ME KNOW IF YOU ARE ATTENDING. If I don’t have any takers, it will be cancelled. 3 – Review your race day checklist: Make sure you have everything you need and are ready for race day. If you have any questions, please let me know. Minimize pre-race stress and don’t wait until the last minute to get prepared. 4 – Buy or make a race number belt: Race belts make it easy to put on your number when you get ready to ride or run. (I am not sure if you need to wear your number for both events, but you will need one either way). You can purchase a race belt at Run On for $11 or $12 but you can also order them online for about $6 at the link below or just Google “race number belt” to find other options. If you want to consider making a belt, here is a YouTube link that you might find useful. The last few days have been great for training, particularly in the mornings – the temperatures have been wonderful! Even the rain didn’t hold us back at Cardio Club this morning. This past weekend there were couple of training events, both designed to push us beyond what we may have been doing up until now. 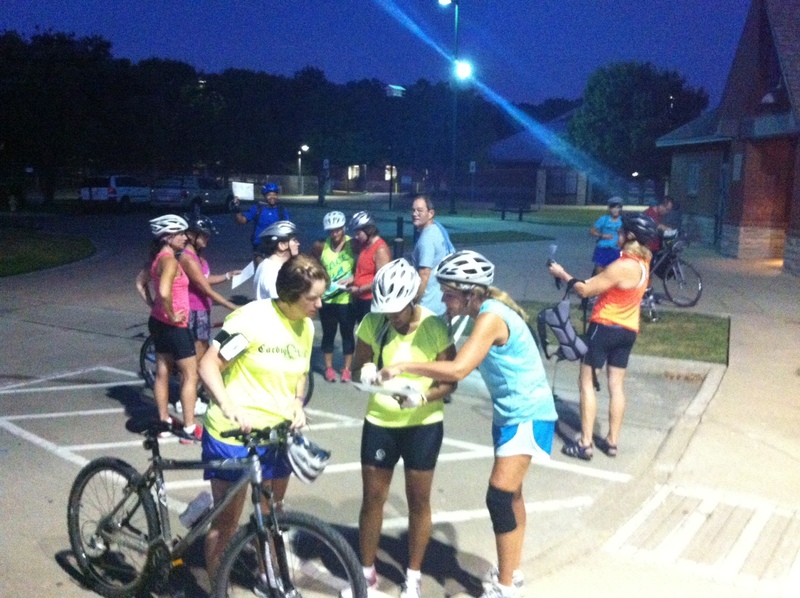 On Saturday, a small group mirrored the race by completing a 250 yard swim, a 12 mile bike, and a 3 mile run. I have heard their confidence in being able to complete the race has definitely gone up. Congratulations to all of you! 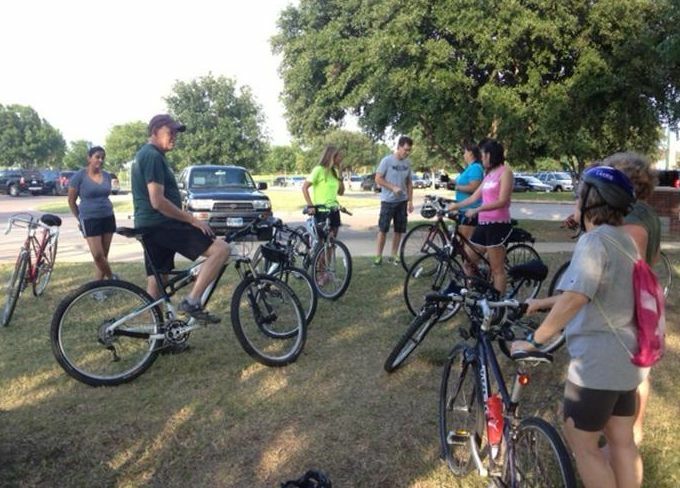 On Sunday morning, 14 of us showed up to tackle of few of the hills in Valley Ranch. Everyone tried a couple of hills and some did more, but overall, I am so proud … everyone made it up the hill! I know for me, some of the training required for this race pushes me well beyond what I would consider my “comfort zone.” When I came across the following quote, it really hit home for me so I thought I would share it with you. This is a repeat of last month’s bike/run event with the added option of doing the full 12 mile ride versus the 8 mile ride. I have created a route that extends our 8 miles to 12 and have attached it in the email but I will also go over it with everyone that morning. We will start shortly after 6am. 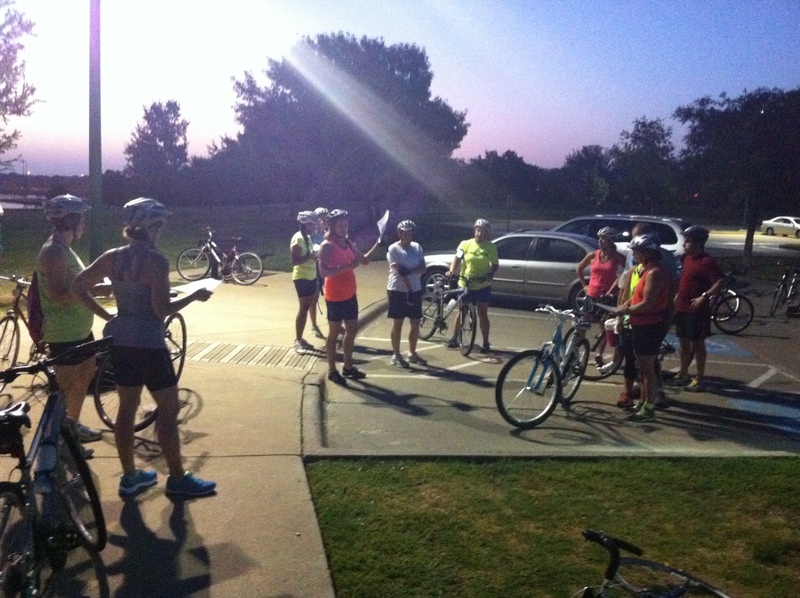 Saturday, September 1st @ 7am: Another “Tri” at doing the Hills of Valley Ranch? With only one week to go before race day, you may want to make sure your legs are hill ready and give it one more (or your first) “Tri” at doing the Valley Ranch hills. We will meet in front of Guerro’s again just before 7am and move out from there. For those interested, feel free to let me know what times work for you. I was thinking of holding the meeting on the either Saturday or Sunday, September 1st or 2nd. It’s been a little over two weeks since my last post but I hope that hasn’t caused any set backs in your training. We have 3.5 weeks before the race… WOW time flies! Now is the time to keep each other motivated and on a steady path to be race ready! Encourage your teammates to join us in the upcoming training events outlined below. Want to experience what it may feel like race day to do all three events back to back? If so, join Ellie Halpin this Saturday in front of the main CARC doors at 7am. You can rack your bike right there (be sure to lock it up), then head in to start your swim. If you are not a member, you can get a day pass for $4. She plans to do the full 250 yards, then bike for 8 miles and run for 3 miles. I realize this is a Boot Camp morning, but she is going out of town and wanted to do this at least once before the race. So, if you rather do this than Boot Camp, please let Ellie know (or me and I will pass it on). Meet in the parking lot of Guerro’s on the corner of Beltline and MacArthur (behind the McDonald’s) at 7:30am. Chuck and I will guide you through a great hill workout which will be a bit like an interval workout. We will tackle some hills, rest, then tackle a few more. Total workout will take 30 to 45 minutes. Bring lots of water! This is a repeat of last month’s bike/run event with the added option of doing the full 12 mile ride versus the 8 mile ride. I have created a route that extends our 8 miles to 12 and will send it out this week and go over it with everyone that morning. We will start shortly after 6am. Preparing for the actual race is important but don’t wait until the last minute to get all of the gear that you need for the race. Most of you have the important things like your bike, helmet, shoes, etc. but if you haven’t gotten the clothes you are planning to race in, I highly recommend you make that a priority this week. There are no changing rooms in the transition area. Be prepared to swim, bike and run in the same clothes. If you opt not to get Tri clothing, make sure you have tested out how it feels to swim, bike and run in what ever you have selected. I have included a Sprint Tri Race Day Checklist as an attachment in the email. It is generic and should be used as a reference tool. There are some things you will not need (like a wetsuit) but it is a good tool. In addition, I will schedule a race prep meeting to discuss tips and information the week prior to the race. You have to pick up your packet yourself. You CANNOT have someone else pick it up for you unless they are a minor. As the dates get closer, I will organize some car pools to these locations to help economize on the number of separate trips. They are offering a beginners clinic if you pick up your packet the day before the race. See the details below however, I still have a few questions to ask about it as well and will update you soon. Knobbies & Slicks. Wednesday, September 5, 2012 3-7 p.m.
CK Sports, Thursday, September 6, 11-2 p.m. & 4-7 p.m.
Denton Natatorium, Race Site. Saturday, September 8, 11-4 p.m. NOTE: FREE beginners clinic from 1-2:00 p.m. at the Denton Natatorium. Clinic is complete with swim course set-up, complete transition clinic, bike and run in & out along with Q&A. A MUST for beginner and first time triathletes! You can pick-up your packet and benefit from the clinic in one-stop! Bring photo ID and USAT card. One day memberships will be available for $12 (Cash or check only) at packet pick up. Temporary USAT cards can be printed here. Race Day Packet Pick Up Policy- If you cannot not make it to any of the packet pick-up options, you can pick up your packet race morning between 5:30 & 6:00 a.m. for $20.00, cash. We cannot accept checks or credit cards. VERY IMPORTANT: BRING ID and USAT Information. You will not be able to get your packet and race without proper ID. One-day USAT memberships will be available for $12 (Cash only). As we start week 6 of our training, my hope is that all of you have found a good balance between your normal workouts at Boot Camp and off day cardio (or Cardio Club). The last thing you want to do is over do it with five weeks to go. If you are feeling physically exhausted at the end of each week, try adjusting the amount of time you swim and bike on a given day. I am sure some of you felt a bit exhausted after yesterday’s 8 mile bike, 3 mile run. We had a great turn out with at least 15 or more participants. Although it was a bit muggy and hot, overall it was a good test of our endurance and a great prep for the race to come. Check out the pictures below for the before “we are ready to go” and the after pictures “boy are we glad that is done” feeling. 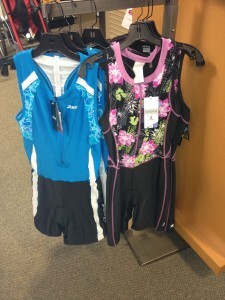 Chuck and I stopped into REI yesterday and I found both men and women’s Triathlon gear there. It is limited but some of it is on sale. 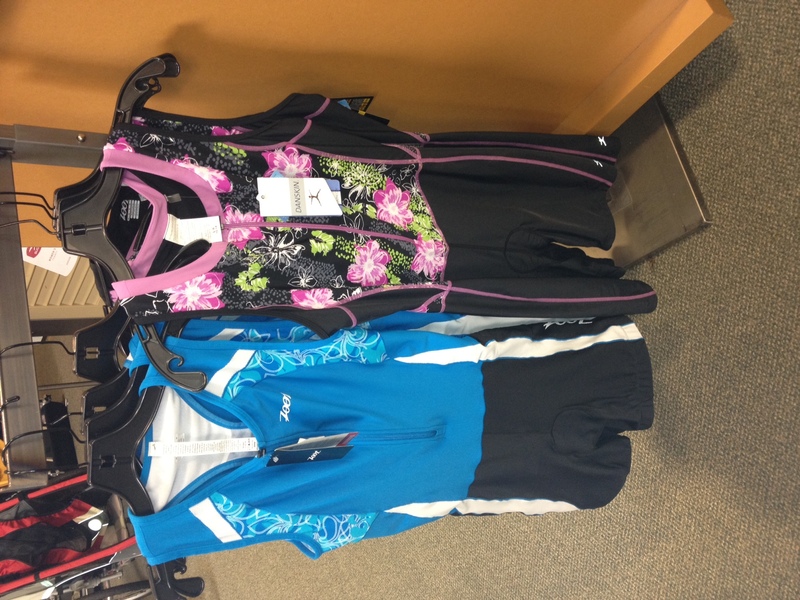 Below is an example of one of the Women’s Tri Suits on sale for around $60. This is a very good price. Next weekend I will be out of town, but Chuck would be happy to meet up with anyone interested in getting a hill workout in. Let me know if you are interested in meeting up with him around 7am either Saturday or Sunday and I’ll make arrangements. The Summer is going by fast and the heat is at its peak which makes working out a bit more challenging. Make sure you are hydrating and try not to work out during the hottest time of the day. Make note of the important dates below that are coming up. This Saturday, July 28th will be a great opportunity to put your training to the test with an 8 mile bike ride followed by a 3 mile run. If you have not been training that much outside of boot camp and/or cardio club, it will be a perfect time to see how doable this can be for you, particularly if you are on the fence about the race. Our start time is 6:15am in front of the pavilion at Andy Brown East. Come early to warm up and get your gear on… be ready to go at 6:15! NOTE: If you only want to do the run or the bike, you are welcome to do so. They will take the overall times of the three team members and the team with the lowest overall time in their division wins an individual and team trophy. THIS IS NOT A RELAY. Each team member will do the swim, bike, and run. Team members are still eligible for overall and age group awards. DISCOUNTED TEAM PRICE: The best part is you get a team discounted price when you sign up as a team. The early bird price is just $160.00 per team. TEAM NAME: There can be as many teams representing the same college but they encourage coming up with a unique name. My team combined all of our college mascots and will be called the Golden Horned Tigers. Announcer information (Tell us about yourself, it may be announced at the finish line) – these are their words, not mine. Be sure to mention that you are part of the group with Get You In Shape, a fitness company based in Coppell, TX. We have several teams formed already and a few people are still looking for teams. If you are interested in joining a team, let me know. Once you have you formed your team, please let me know who is on your team and what your team name is. 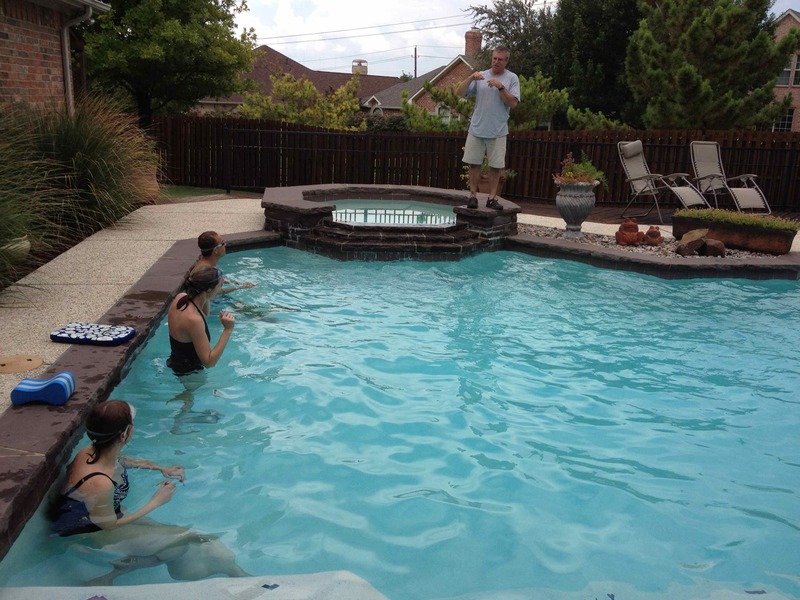 Last night Jay Halpin conducted 2 swim clinics for us at my pool. He watched each of us swim, then gave us specific tips and things to work on in the following weeks. Everyone really benefitted from his instruction. Due to its success, there will be another clinic in the coming weeks and as always, anyone is free to join. Check out the “in action” shots below. If you are doing Boot Camp, Cardio Club, swimming 2 times per week (or more), plus biking a few times per week, I imagine you are pretty tired and run down by Thursday or Friday. Remember, the training schedules are geared towards someone using them as their only training for a Sprint Triathlon. Obviously, you need to get some biking and swimming in outside of boot camp, but first and foremost, listen to your body! If you are tired, back off on the frequency of your training. Swim and bike one time per week instead of two or bike and swim on alternating weeks. For most of us, our goal is to finish the race and have fun in the process. I truly believe that with very little additional training, most of you can finish this race. One of the main reasons I felt this was a good goal for Boot Campers is that it is VERY “doable.” Juggling family life and your jobs is stressful enough. Don’t let training add to your stress. If you have additional concerns about fatigue, please message me or talk to me one on one. We are approaching the end of our 3rd week of training which leaves 8 weeks to go until race day! I have really started to feel a difference in my endurance. The training schedule has kept my focus. I hope all of you are seeing a payoff in your training as well. There are lots of opportunities for anyone to train with others during the sessions I post or you can always ask me to post a time when you plan to train so others can join you as well. Below is a list of upcoming events that are currently scheduled. Clinics – As I announced yesterday, our first two swim clinics will be held this Sunday, July 15th at my pool. The first one will start at 4pm and the second at 5pm. Both will run about 50 minutes. Feel free to just show up, however it would be helpful to know how many we can expect. If you can, email me what session you are coming to if you do plan to join us. Looking to get in some swim time? Join me tomorrow morning at the CARC after Boot Camp. All lanes are open at 9:30am and I plan to swim for 30 minutes. May even time my first 250 yards to see how I am progressing. 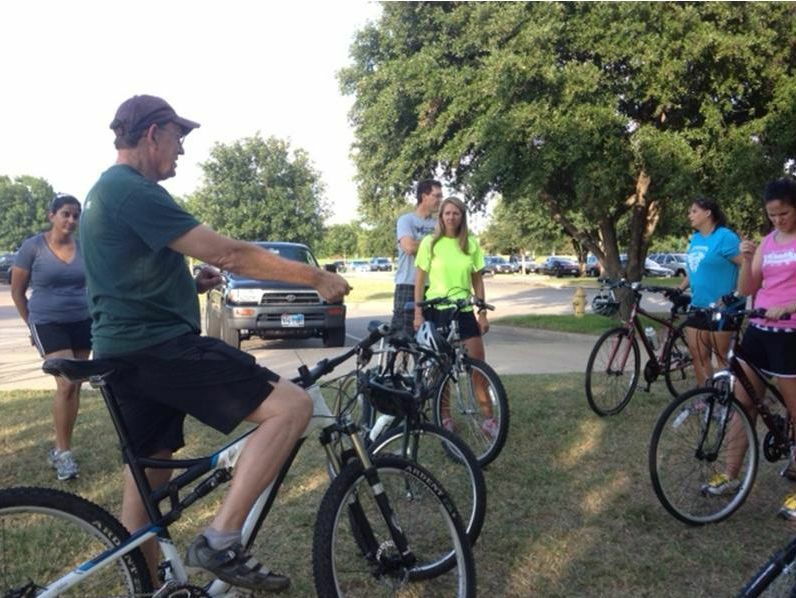 Clinics – It was encouraging to see many of you take advantage of the bike clinics. If we need to have additional ones, I can set them up or have one on one time with either Chuck or Dan. Just let me know if you need help with your bike and/or understanding how to peddle and shift efficiently. Bike/Run Event – Test out your bike legs and transition to a run. We will meet at the Pavilion at 6:15am, Saturday, July 28th BEFORE Kristi’s timed 3 mile run (see below). Bike Routes – The July 10th post contains a link to an 8 mile route that we will use on our bike/run day. Feel free to practice it as many times as you wish. Here is the map for the 12 mile route that Jean put together for us. Hill Training – Now that many of you have been riding and getting a bit more comfortable on your bike, try getting some hills in at least once per week. Try to to go up several hills or repeat them so you can get comfortable with the shifting that is required to tackle hills successfully and to help build the endurance you will need. 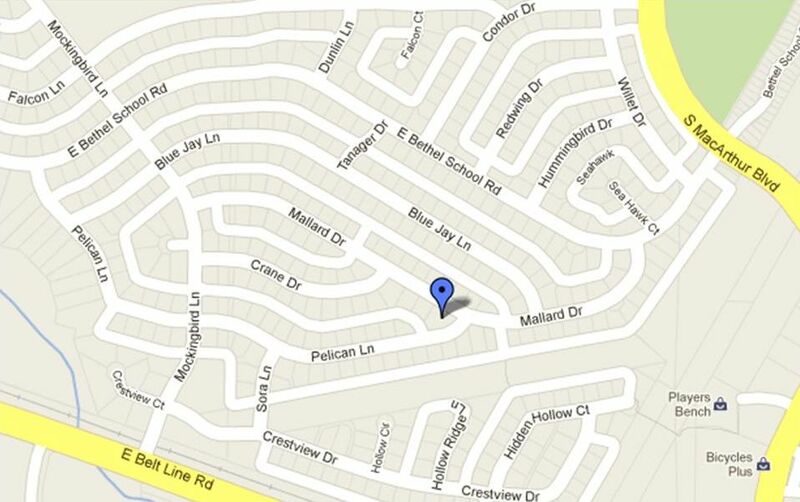 August 11th or 12th, I plan to conquer a few hills in Valley Ranch. As the date gets closer, I will let you know. 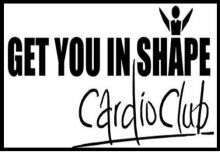 Cardio Club – If you participate in Cardio Club, you are already getting plenty of run time. If you are doing it on your own, make sure you are following one of the 3 schedules I originally posted to ensure you will be ready come race day. You can always come out and try Cardio Club anytime! Timed 3 mile run – Kristi will conduct a timed run at 7am, Saturday, July 28th. Anyone is free to join us. They meet by the stairs of the Pavilion. (See above if you want to make it a bike/run). Although everyone competes in the race as an individual, you can add to the fun (and get a discount and another potential for winning a trophy) by forming a team of three. The teams can be coed, all male or all female. You need to come up with a fun “college” related name. When you register, you will need your team mate’s names and your team name. The following people have started to form teams. If there is a TBD, that means they are looking for another team mate. If you want to join one of the 2 teams that need another, or if you form your own team, let me know so I can keep track. Meg Hinkley found a brand new store off of the Dallas North Tollway and Windhaven that carries all kinds for Triathlon gear. She told the owner about our group and he gave her a couple of discount cards. I plan to go over there this weekend as well and will pick up more. If you would like one of these cards, let me know. It is great hearing that several of you are getting together to swim and bike. A lot of you are already in Cardio Club, so we are basically getting our run time in together as well. Doing the bleachers today was excellent training for overall endurance and leg strengthening needed for biking as well as running. Thanks Kristi! Sharing information has also proved beneficial. If anyone has something they believe would benefit others, I am happy to post it. I have already received a couple of links to articles from Gary Green and Jean Roscovius. Take a look — they both have very useful information and tips in them. Here is an 8 mile biking course I have routed that we will use on July 28 before the 3 mile run. I would rate it easy to medium in difficulty (it includes some hills) but the goal on the 28th will be to bike as hard as we can, trying to keep a good average speed (14 to 16mph is a pretty good target – but DO NOT worry if you pace slower), then transitioning quickly to the 3 mile run to test out our legs. Feel free to practice the course! ANYONE WANT TO BIKE TOGETHER? If anyone is interested in joining Jean Roscovius Sunday mornings at 7am, meet her at Andy Brown East for a 12 mile ride. It will take about 45 minutes and she has a mapped a challenging route. As soon as I map it like the one above, I can post it. If you want a copy in the meantime, just email me and I will send you a copy. Today was a great day to get in the pool given how hot and steamy it was. Eight of us training for the Sprint Tri did just that. We met at the CARC pool, did a little coaching and warm ups, then did a timed 250 yard swim. Everyone had great, Sprint Tri worthy times — but Ellie definitely set the bar for us by completing it in 3:37!! It was great doing this as a group and I will continue to set up swim timed events. However, don’t hesitate to invite others to a time that works for you. Remember, it only costs $4 for a day pass at the CARC and I will be happy to blast out a message to everyone about when you are training. Bike Overview Clinic #2 – Sunday, July 8 (tomorrow) at 5pm: If you couldn’t make the first one and still need some help with shifting and peddling techniques as well as having someone take a look at the overall shape of your bike, feel free to come to this clinic. The meeting will be at my home at 927 Mallard Drive in the back driveway/garage. First official swim clinic: Jay Halpin will be holding one or two clinics at my home next weekend. If you are interested, be sure to keep an eye on the blog this week for the specific times. Bike/Run training – Saturday, July 28 6:15am: Want to test your legs out in a transition from the bike to a run? Join us for an 8 mile ride and a 3 mile run. We are starting early so we can beat the heat and potentially join up with Kristi’s 3 mile timed run that same morning. (Both of these last two sites have suits as well as shorts for men and women). The biggest downfall for ordering these online is getting a proper fit. Use the size charts if you decide to order a suit and order it sooner, rather than later so you can exchange it as needed. If you prefer to shop in a store, there is a local place Kathleen Purches told me about. * Some of their locations are closed on Saturdays due to swim meets – please call ahead! Store hours may change without notice. I hope everyone had a Happy 4th of July! If you took the holiday off from training, no worries — it is just one day. We are in week 2 of our training and regardless of the training method you are using, I hope you have gotten in some swim, bike and run time. I am following the 5 day/week training schedule but modifying it to fit with Boot Camp and Cardio Club. During these hot days, I actually look forward to a swim day. The tips Jay Halpin gave us at our first kick off meeting has paid off for me. My ability to do the free style stroke for the full 250 yards has improved tremendously. Once Jay is back in town, we will schedule a few swim clinics at my house. In weeks 4 and 5, I will post some bike drills for tackling hills. For those that want to do this with others, I will post some times for group hill work. Since most of you haven’t been riding regularly, your goal until then should be to build up your endurance by biking your target distance or time while trying to maintain a consistent pedal cadence in addition to getting comfortable with your shifting. Based on feedback and requests, I will be putting together various group training events. As soon as I have the dates nailed down, I will get them posted. Listed below are the items I will get scheduled soon (in not already noted). 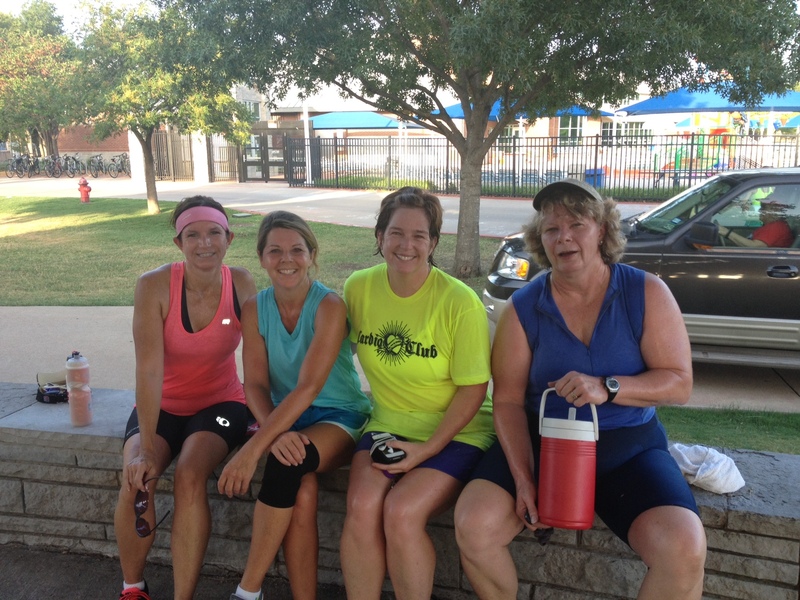 Timed 3 mile run (Kristi to lead) — I believe the next one is July 28th at Andy Brown East 7am. Timed 250 Yard Swim — If anyone would like to try and grab a lane or 2 with me after Boot Camp this Saturday, it is a good time to get a baseline time. By 9:30am, all the lanes in the indoor pool are open. Swim Clinic — Possibly July 14, 15 and/or July 21, 22. Bike / Run Drills — Some of you are worried about having rubber legs after the 12 mile bike, so I plan to create a few drills that will help build more endurance for this transition. Bike Drills for Hills — I did a few this morning and know I need some more work. I will schedule a few different times for this. Happy training and stay hydrated! Fellow Sprint Triathloners… we had a bike clinic tonight and had a good turnout. Our very own Boot Campers, Dan Welty and Chuck McCan helped everyone with the mechanics of their bike as well as shifting and pedal cadence. We will make sure everyone has an opportunity to get this help if they want it. Forming a team of three – Get with a couple of other Tri participants and form a team. Come up with a fun college related name. Each of you complete the entire race, but they total your combined time and give out trophies for the best teams; coed, female and male. Being part of a team is fun! You have others cheering you on and motivating you to train. Your registration fee is discounted if you sign up as a team. Let me know when you have a team and what your name is so I can post them. Registering for the Race – I know some of you are still on the fence, but for those of you that are definitely in, complete your registration soon! You will feel 100% committed once this is completed. If you are registering as a team, you will need to have your team finalized before you register. If you register by 7/31/12, the fee is $59 (OR $50 for each team member). Looking for someone to train with you? If you have use Facebook and are friends with Get You In Shape, feel free to post a message to solicit a few training companions. Just let them know what you are doing and when. You can also send me an email if you prefer and I will send out a message with your request. Having someone to train with makes the time go faster. Future Group Training – I will be updating this blog with group training activities such as swim technique clinics, timed 250 yard swims at the CARC, run/bike sessions and hill biking. Keep checking the blog! Kickoff meetings: A total of 26 future Sprint Triathloners showed up for one of the kick off meetings and the numbers of those interested continues to grow. For Boot Camp clients alone, we have 41 on the list and several of you have told me your spouse, siblings, friends, etc. plan to join us as well. What a great opportunity to represent our GYIS family! Early registration cut off is midnight, July 31st. I hope most of you will be registered by then at which time I will get a more accurate headcount. Although you have until September 4th for final registration, you will get the lowest rate by signing up earlier and you will feel more committed. Don’t forget to get with two other participants to sign up as a team… the cost is lower! If you plan to attend, let me know so I have an idea of how many people we need to accommodate. You can email me at julie@getyouinshape.com OR if I get a post on Facebook, you can let me know there if you prefer. Training: Many of you have started using the training plans and getting a great start training this week. However, don’t be shy about creating your own training schedule based on your availability. If you cannot do much training outside of Boot Camp, let me know and I will be happy to discuss some simple alternatives with you. The Course: I drove up to Denton today to get a first hand feel for the course. It is a wonderful venue for the race. The swim portion takes place in the Denton Natatorium which looks like a bigger version of the Coppell Aquatic and Recreation Center. We transition from the pool to the bike portion of the race which is 6 miles straight out on FM428. It is a great road with a wide, paved shoulder. Although there shouldn’t be a lot of traffic on Sunday morning, it is nice to have a wide shoulder. I was happy to see that it is a pretty straight course, with just a few gentle curves, but there are some hills. Two of which may be a bit challenging but doable. The others I would consider a low to medium challenge and none of the hills are longer than .4 miles with most .2 miles. For those of you that are getting on a bike for the first time in a long time, just continue doing what you are doing. In August we can bike on some hills. The run portion is totally flat and loops around the area twice with the finish line in the stadium. If you haven’t had a chance to check out the course maps, take a look at the links below. Since some of you may find that training 6 days a week PLUS Boot Camp and Cardio Club is a lot, I have updated the training schedules (see below). If you are currently doing Cardio Club, your running is pretty much taken care of and you can disregard those times in the schedule. Also, note that these schedules are just suggestions and you should feel free to research others or come up with your own. I also will start posting information about when people will be training together. I hope to have something up tomorrow — who knows, I may even use our Facebook page so that others can comment or inquire about who is training when and where. Get You In Shape #1 value is put people in a positive environment that creates motivation, accountability, encouragement, and inspiration. As we have grown and evolved since 2007, it has now grown to doing more and more stuff outside of just the 3-4 day Fitness training. We added the 0ff-day Cardio Club and we are now adding extra events to help you reach new goals and give you motivation to continue this health and fitness journey called LIFE. Julie McCan is heading up the Sprint Tri Training and Kristi Walthall is heading up the 5k’s and events that will come up hear and there that we can come together as a GYIS community. We know that if you have something (a goal) to reach for, you are going to most likely do the things necessary to complete it. The events, tri training, and all of the things we may add here and there for those that are interested are just an extra layer that can help all of us continue along this journey. Doing it as a team and together will only make the process more enjoyable and more rewarding each step of the way. We have close to 30 people interested of some sort in Tri Training (See Below). Here is the email that went out with the dates of the first kick off meetings. If you did not sign up for the Tri Information just email Julie or me and we can get you on the list of folks interested. The information about the kick off meetings, though, are below. Wow! What a great response from our Boot Campers… we have 30 people currently interested in doing a Sprint Triathlon on September 9th in Denton, TX. I know that a few of you are on the fence as to whether or not this is something you can or want to do but I am thrilled with the response so far!. Below are the two important documents you needed to read and information about our kick off meeting. If you are still undecided after you read through it, do not worry, you do not have to commit until the registration deadline! Although I tried not to overload you with too many details at once, I am sure some of you will have more questions after reading it. Instead of responding to your individual emails and questions, I would like to have a kick off meeting next week — actually, I will conduct a couple of them so that hopefully you can work one into your schedule. [YOU ONLY HAVE TO ATTEND ONE.] They will be short 30 minute meetings just to make sure everyone is on the same page. We will also discuss training and race preparation. If you cannot make the meeting, please do not worry, I will make sure you have any necessary information. Saturday, June 23rd — 9:05am (right after boot camp) — if it isn’t too hot, we’ll just stay on the basketball court otherwise, we can move somewhere shady. I am really looking forward to working with all of you on this goal together. Here are a few events Kristi Walthall is helping to get folks involved coming up. October 6, 2012 Tough Mudder – 9AM, Austin, TX.